crunchy, slightly sweet and oh-so-delish! 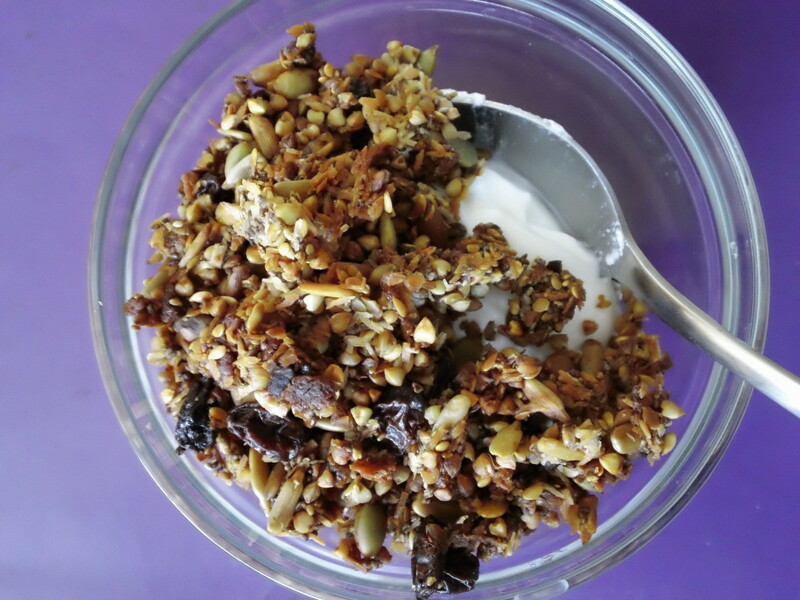 Buckwheat is a unique seed-grain that tastes best in this Homemade Buckwheat Cereal. 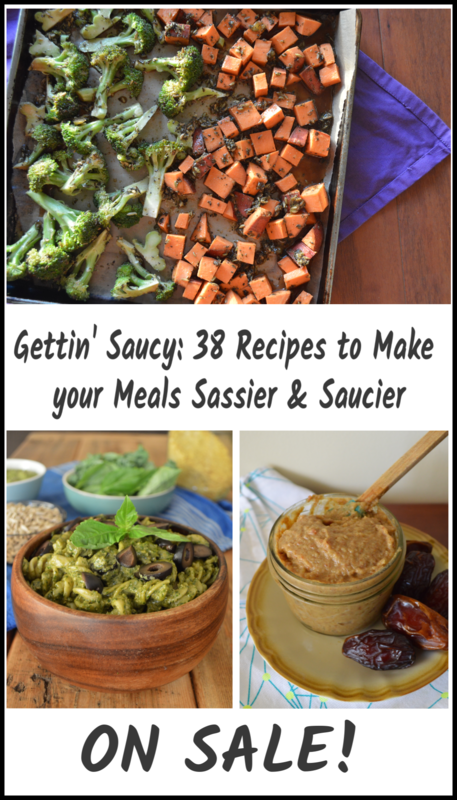 It’s easy, delicious, quick and totally customizable for a great breakfast and snack food! 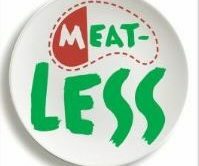 This is a great gluten-free recipes that I make on a regular basis to have around the house. Eat it out of hand; sprinkle it on yogurt. Cover with milk for meal. Top your oatmeal, smoothie or ice cream. You get it– this buckwheat cereal goes everywhere! 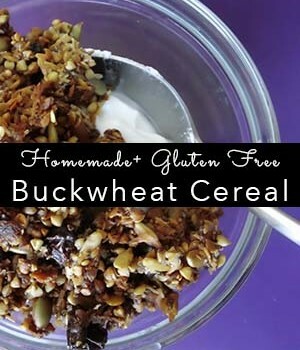 Whether you are living gluten-free or just looking for a cool new breakfast and snack food, this Buckwheat Cereal might just be your new favorite! Buckwheat, despite the name, is not related to wheat nor does it contain any gluten. But, it does have lots of good nutrition: these little seeds contain a wealthy of minerals like manganese, copper, magnesium and phosphorus. Buckwheat is also very high in fiber, low in fat and high in protein. 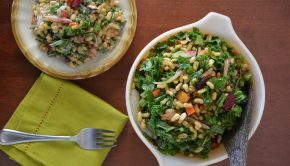 Look for buckwheat (often labeled as buckwheat groats) or kasha, which is toasted buckwheat. 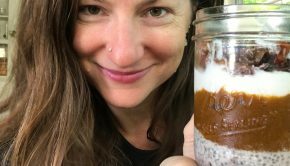 I usually use the raw buckwheat here, but the kasha would work too! Mix together buckwheat and water. Soak for one hour, then drain and rinse. 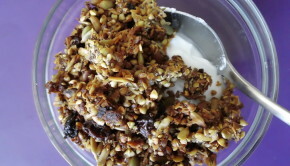 Toss together with sunflower seeds, pumpkin seeds, apricots, coconut, chia, and flax seeds. Toss to combine. Drizzle coconut oil and honey onto buckwheat mixture and toss to coat. To dehydrate: layer buckwheat mixture onto lined dehydrator sheets, and sprinkle with raisins. Dehydrate at 115º for four-eight hours, or until buckwheat is crispy. To bake: Line a rimmed baking sheet with parchment paper. Pour buckwheat into pan and bake at 350º for 30 minutes, checking for doneness. Buckwheat should be very browned and dry (not sticky) to the touch. Stir mixture, and bake 10-15 minutes longer, or until buckwheat is browned and crispy. Let buckwheat cool completely before storing in airtight container.